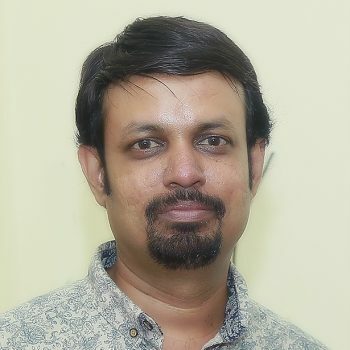 Abdul Noushad, Founder & Trainer of Shoot School Thrissur & Cochin, Kerala. He has been a professional photographer since 1993. Unique Professional Photographer engaged in high quality and Still images and Video footages for many clients pan India. Heading leading photography training school in Kerala. He introduced field training and nature awareness class for Wildlife Photography. Service includes Wildlife, Travel, Fashion, Industrial and Virtual Reality Photography. He holds a BS in Computer Science, specialised in Digital Cameras. A hard-core Canon Professional Camera User, using DSLR from first generation 1997 EOS 300D. His freelance documentary work has leaded him to shoot photo stories in many different countries. Trained more than 3000 plus photography infants to Professional Photographers. Conducted more than 60 plus Photography Workshops, Nature &Trekking Camps. Associated with numerous government and Semi government department including Cochin University of Science & Technology,Kerala,Kitco Ltd etc. Consultant and solution provider for Media productions for Amada,Japan. Consultant for Sony India Pvt Ltd for Alpha series Sony DSLT Cameras. Experience includes supporting Photo sharing website and Virtual Tour Distribution Network (VTDN) support activities for Realtor, Homestore.com world’s largest real-estate business consortium.